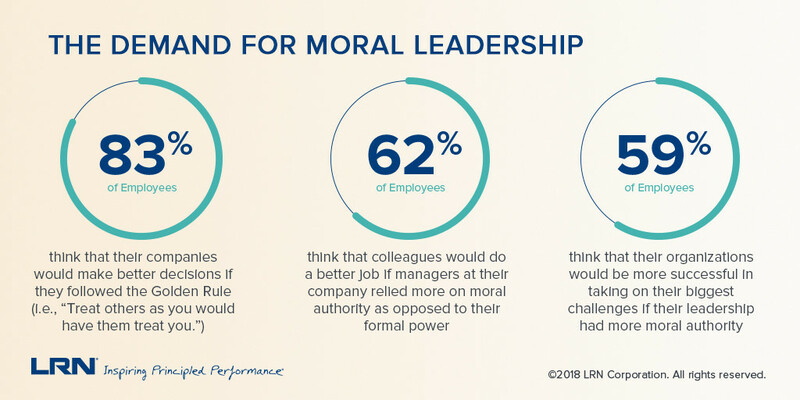 Employees feel businesses are lacking moral leadership. This is why. “Who are America’s moral leaders?” USA Today asked in a recent headline. At a time when businesses are increasingly thrust to the forefront of complex issues such as racial bias, gender equity and privacy rights, an overwhelming majority of employees feel adrift. They do not believe their organizations are run by moral leaders. Less than a quarter of employees think their managers exhibit the qualities and behaviours of moral leaders. Only 17% say their leaders normally tell the truth. This lack of moral leadership has profound effects on organizations. Employees believe this moral vacuum is making them worse at their jobs and making it harder for their organizations to meet their goals, let alone surpass them. 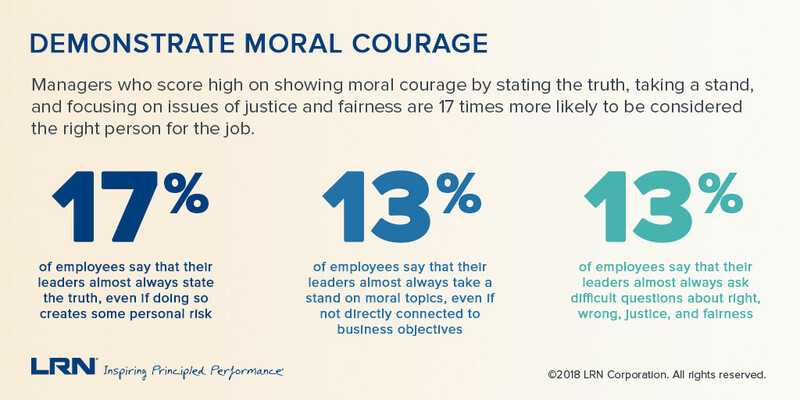 These are just some of the findings of LRN’s State of Moral Leadership study. 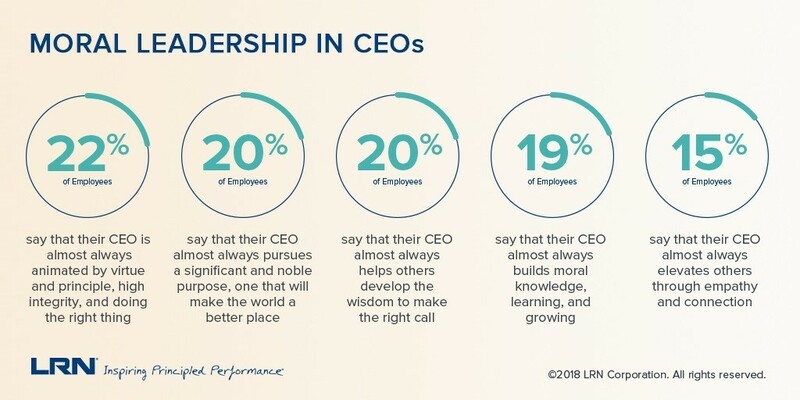 We designed it to examine the kind of leadership which employees want to see more of, and to test just how far their leaders are from meeting their needs and desires. The results are both encouraging and deeply disturbing. They illustrate a crisis in leadership, with urgent, profound and moral implications. Just how bad is this crisis? Among our findings: only 13% of employees say their leaders usually take a stand on moral topics. Only 17% put principles first. Only 14% acknowledge their own failings, and only 13% make amends when they get things wrong. Though rare, moral leadership can be extremely effective. 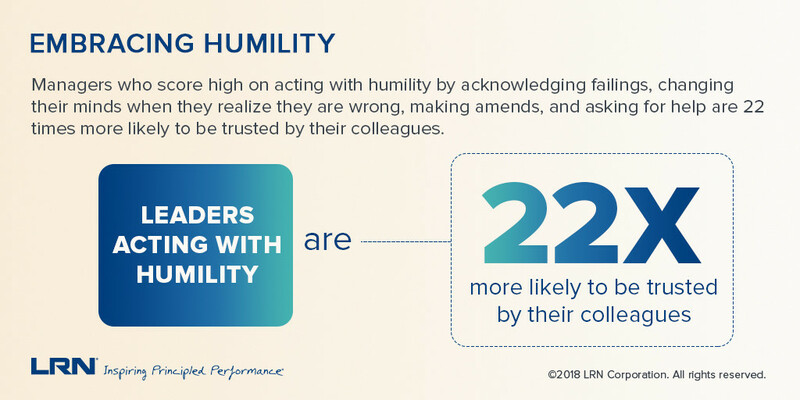 When managers lead with humility, they are 22 times more likely to be trusted by their colleagues, according to our analysis. When managers are able to make themselves small and create an atmosphere in which others can stand up and deliver a great performance, they are 11 times more likely to achieve their business goals. Going deeper, when managers demonstrate moral courage, by standing for truth or asking tough questions, they are judged 17 times more effective by their colleagues. 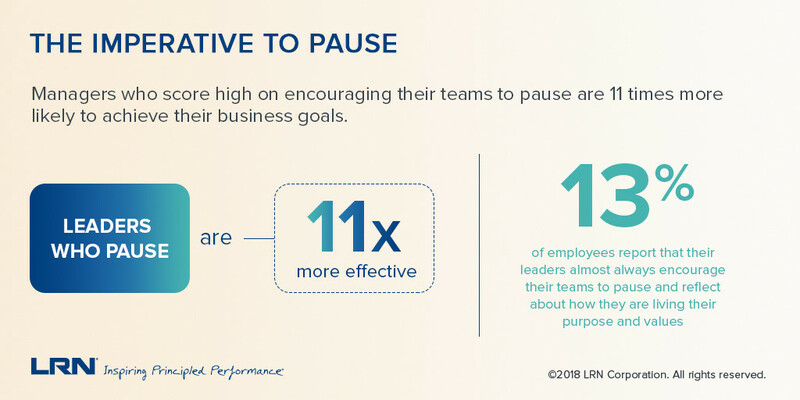 And when they pause, and encourage their teams to pause and reconnect with their values, they are 11 times more effective. The State of the Moral Leadership study is based upon our framework for Moral Leadership, which I’ve written about before. It was born from the recognition that our system can’t function without leaders with ‘formal’ authority, be they Commander-in-Chief, CEO or school principal. Yet what makes leaders occupying those formal positions, whether in business, politics, education or sport, truly successful in their roles is when they go beyond, and realize their moral authority. Formal authority can be won or seized, but moral authority has to be earned and sustained every day by how you act and how you lead. Moral leaders are driven by purpose, seeing the path ahead as a journey. Moral leaders inspire and elevate others. Every decision is made with consideration of others’ full humanity. Moral leaders keep building muscle, continually asking themselves if what they’re doing is compatible with their organization’s purpose and mission. Why does any of this matter? Why go on a journey to build your moral authority, character and leadership? The world hasn’t just changed, but is being dramatically reshaped at speeds and in ways not seen before in human history. Younger generations are more socially conscious employees and consumers. Social media and other technology has allowed ordinary people to hold the most powerful leaders accountable. Political leadership has proven a failure at key social issues. And the pressure on CEOs to assume positions of moral leadership is increasing by the day. Our world has gone from being connected to interconnected to globally interdependent. Technology has brought strangers into intimate proximity at an accelerated pace, affording us richer experiences but also demanding new levels of empathy and understanding. These same technologies have granted us MRI vision into the innermost workings of traditionally opaque organizations, and even into the mindsets and attitudes of their leaders. The world has been reshaped faster than we’ve been able to reshape ourselves, our institutions or our leadership. This is a critical moment for organizations and leaders, particularly in a time of fake news, mounting distrust, powerful movements such as #MeToo, increased concerns about the impact of AI on humanity, louder moral outrage from consumers, and calls for higher standards of behaviour from companies and their leaders. The opportunity is there. The data tells us what we must do. The world is eagerly awaiting moral leaders to push us forward. Maybe next year we’ll have a better answer to USA Today’s question. This article was written by LRN CEO, Dov Seidman, and originally published by World Economic Forum. View the article here.